Sad to think that this sort of awareness is necessary. "In her 2011 debut, she was shown feeling hungry because her family didn't always have food available." My daughter was a fan & i always enjoyed watching it with her, i appreciated the real social issues the show included! Well no, Oscar isn't homeless, he hasn't been evicted, he still has his home the garbage can! If that's what it takes to teach the kids today. I would also hope that their parents would be teaching them about the issue too. Oh my. So sad that homelessness has become so prevalent it needs to be addressed like this. Noted, but what about Oscar the Grouch? Isn't that a commentary on how some people can't integrate into society with "Trash" being a symbol for alcoholism and drug addiction? A sign of the times. So sad but necessary. Sesame Street is up to date. 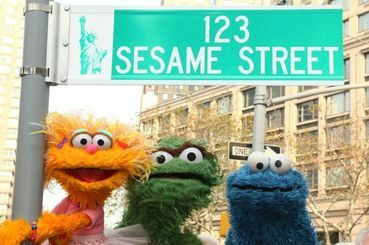 Thank you Sesame Street for doing this.